Sometimes you see a recipe and you just know it will please you. 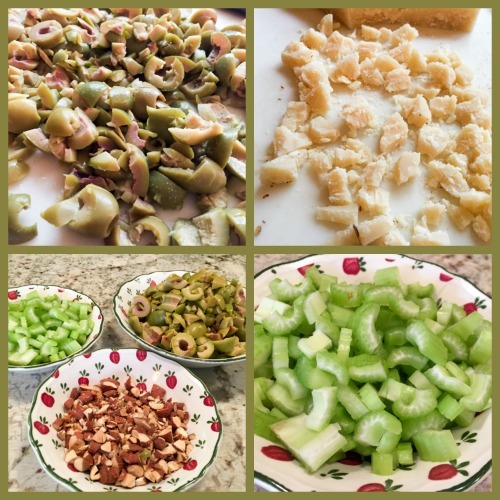 I’ve blogged about a similar version years ago, but this one is more substantial and even if you are a celery hater, you might enjoy it. My little tip: peel the celery before slicing it. It’s not that hard, just pull the strings that sit on top of the ridges, they come off easily and that unpleasant (for some) texture of stringy celery will be history. 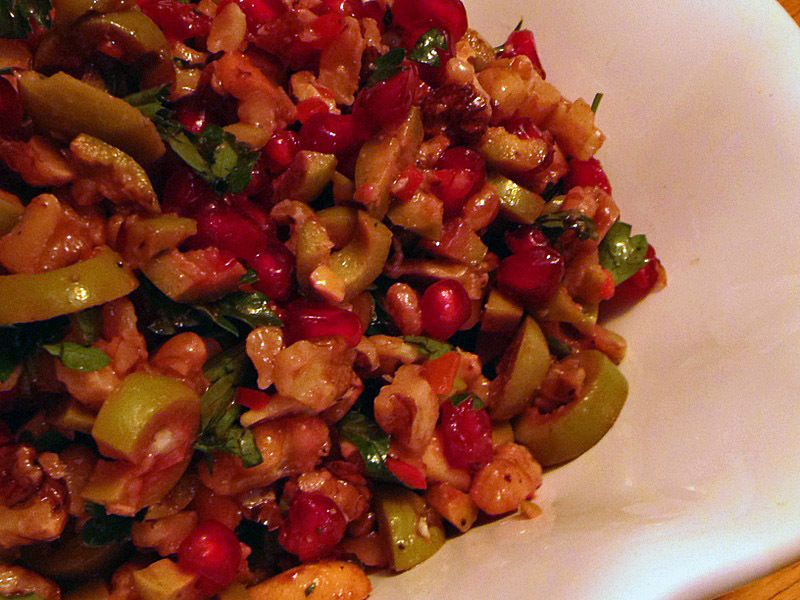 Another twist that makes this salad special is adding the Parmigiano cheese in small chunks. Use a fork and go at it. I found this recipe over at Cookie & Kate’s blog, and made it almost on that same day. They added garlic, I did not. Other than that, no changes. 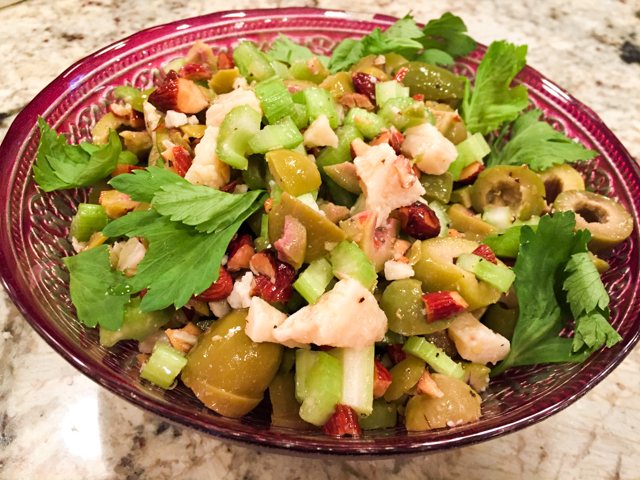 In a medium bowl, toss all of the ingredients except the celery leaves together. Taste, and adjust the seasonings to your preference. Garnish with the chopped celery leaves. Refrigerate until needed. Leftovers are even better after a couple of days in the fridge. Comments: This concoction not only works well as a side-dish for many types of protein, but you could slice some sourdough or simple baguette and use it as a topping, serving as appetizer before a dinner party, for instance. The flavors get more intense in a couple of days, and the almonds mellow down in texture a bit. Amazing what braces can do, I now have to worry (a lot) about texture. In fact, if you are cooking for someone wearing braces, opt for slivered almonds. They are a bit more “predictable” in terms of their crunch. When you chop whole almonds coarsely, some bits end up with incredibly sharp edges. Of course, I am aware that 99.99% of my readers don’t have to worry about it. Still, it doesn’t hurt to mention. Just in case. 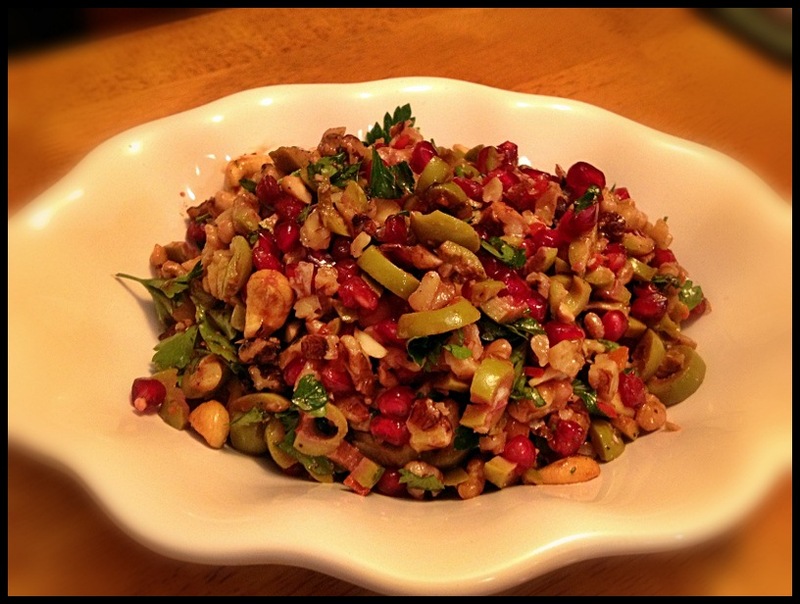 When I make this salad again, slivered almond will be playing… Side note, I am almost reaching the 6 month mark of braces on a 2 year voyage, and I am so ready to be done (sigh). FOUR YEARS AGO: Headed to Colorado!